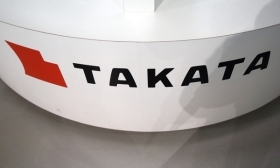 WILMINGTON, Delaware -- The judge overseeing the bankruptcy of Takata's U.S. unit on Wednesday cleared the way for the company's creditors to vote on its Chapter 11 plan, which critics say limits the legal rights of those injured by its deadly airbags. Takata and its U.S. entity TK Holdings filed for bankruptcy in June after more than 100 million of its airbags were recalled because they could inflate with too much force and spray metal fragments. The airbags have been linked to at least 180 injuries and 18 deaths, including one in Louisiana that was identified last month. During Wednesday's hearing, the judge reviewed the adequacy of TK Holdings' disclosures, which attempt to summarize and translate the dense legalese of the company's proposed reorganization plan. Critics have said the plan favors automakers over car owners. They used the hearing to test arguments that could be raised again at a Feb. 13 confirmation hearing, when U.S. Bankruptcy Judge Brendan Shannon in Wilmington, Del., will decide if the plan is fair and meets other requirements. Shannon raised the possibility on Wednesday that he might not approve a proposal contained in the reorganization plan to establish a fund to compensate those with personal injury claims caused by airbags in vehicles made by Honda Motor Co. The trust would pay compensation based on the injury, ranging from $10,000 for bruising to $5 million for death or loss of eyesight, according to court documents. Car owners would be barred from suing Honda and other car makers could opt to join the trust arrangement. Sander Esserman, a lawyer representing car owners seeking to recover costs related to the recall, criticized the trust proposal because it limited the rights of consumers by barring punitive damages and paying compensation in installments. Honda's attorney, Jessica Boelter of Sidley Austin, said the company was owed $9.4 billion from the recall, which she said was the biggest claim of any automaker. Takata plans to sell its viable operations to Key Safety Systems, an affiliate of China's Ningbo Joyson Electric, for $1.6 billion. The proceeds will fund restitution claims for automakers and help pay personal injury and wrongful death claims.